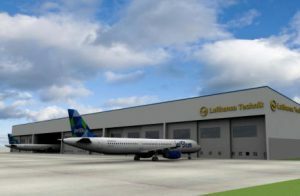 The emblematic project of the Aeronautical & Aerospace Institute of Puerto Rico (AAIPR) has been the development of an educational infrastructure to support and ensure sustainability of the Maintenance, Repair and Overhaul (MRO) operations of Lufthansa Technik Puerto Rico (LTPR), obtained by the support and commitment of the Select USA Program of the Department of Commerce of the United States of America. Support the development of the associate degree in Aeronautic and Aerospace Technology at UPR-Aguadilla for delivery of personnel with skills and knowledge to sustain the operation of an aeronautical and aerospace industry/business. This program began on August 2015 with 50 students and is expected to increase to 160 students on August 2016. Provide integration and benchmarking with Lufthansa Technical Training and other specialized global companies products and services.